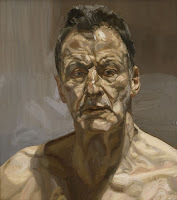 Lucian Freud (1922 – 2011) was one of the most important and influential artists of his generation. Paintings of people were central to his work and this major exhibition, spanning over seventy years, is the first to focus on his portraiture. At the National Portrait Gallery, this exhibit was produced in close collaboration with the late Lucian Freud, the exhibition concentrates on particular periods and groups of sitters which illustrate Freud's stylistic development and technical virtuosity. Insightful paintings of the artist's lovers, friends and family, referred to by the artist as the 'people in my life', will demonstrate the psychological drama and unrelenting observational intensity of his work. Featuring 130 works from museums and private collections throughout the world, some of which have never been seen before, this is an unmissable opportunity to experience the work of one of the world's greatest artists.